The work of the Automotive Council has made much progress in identifying opportunities to grow the supply chain, and has put strategies in place to meet the opportunities offered by future technologies. As this has translated into increased vehicle output, compounded by an increasing share of supply chain work being won by UK suppliers, so the need to address the consequential skills and employment opportunities has come into sharp focus. This report sets out to identify skills needs both to fill current vacancies, and to meet the needs of a growing industry. It offers proposals to meet these needs through training, apprenticeships, and also by promoting the industry as one that offers secure, rewarding employment opportunities. The research was conducted between May and September 2015. Qualitative and quantitative information was gathered through structured interviews with leading vehicle makers and a sample of Tier-1 to Tier-n supply chain businesses. This was supplemented by an internet based survey sample of the contributing businesses. 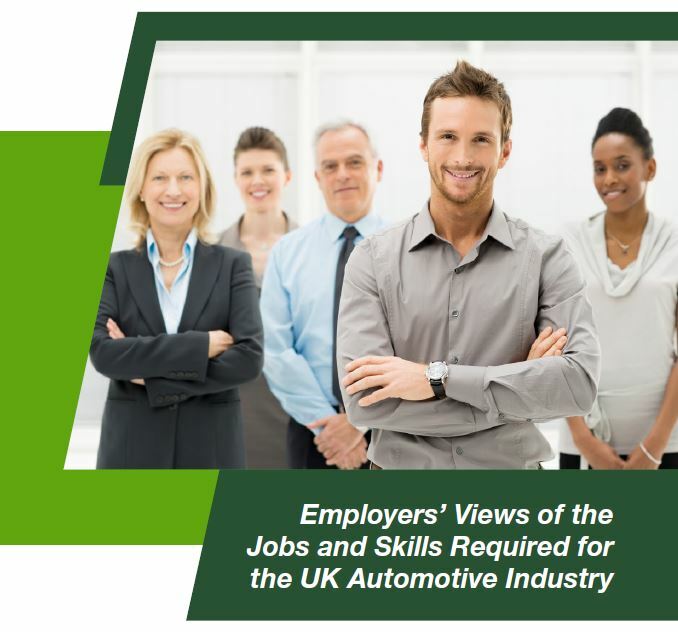 In total 61 automotive companies, (OEM to Tier-n businesses), employing just over 83,200 people within the UK, participated in the Skills Survey.